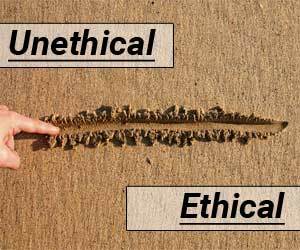 It has come to the notice of Gujarat Medical Council recently, that in today’s era öf competitive medical practice, corporate hospitals and private practitioners have been knowingly or unknowingly overstepping the Laxmanrekha of Ethical advertising. This results in violation of Code of Professional Conduct, Etiquette and Ethics 2002 under the IMC Act. Violation of this act is punishable and Gujarat Medical Council has legal obligation to take suitable actions against registered medical practitioners violating thé code of ethics. The council alsô hereby deems it appropriate and relevant to bring to the nõtice of concerned registered medical practitioners about the judgment given by MCI on the appeäl filed by Shri Rameshkumar Khatri, wherein the MCI ordered to remove the names from IMR for 15 days of 10 Registered Medical Practitioners working in a multispeciality hospital in Sonepat, Haryana, as their names with photographs appeared in advertisements. The council interpreted such advertisements as an act of violation of code of ethics. In such circumstances, the Gujarat Medical Council decided to issue an advisory to all its registered medical practitioners to exercise great caution while advertising and take abundant precaution not tó violate the code of ethics by unethical advertising. In a conversation with DNA, Dr Nitin Vora, president, GMC confirmed that the first step taken in this regard is to issue a notice to the erred doctors and hospital. It can also lead to suspension. A physician shall not give to any person, whether for compensation or otherwise, any approval, recommendation, endorsement, certificate, report or statement with respect of any drug, medicine, surgical, or therapeutic article, apparatus or appliance or any commercial product or article with respect of any property, quality or use there of or any test. of independence.When and whose eyes will open on this. A Good step ..its need of the hour… but it needs to be implemented. WHY THE CERTIFICATES OF ACHIEVEMENT CANNOT BE DISPLAYED IN THE CLINIC ROOM? ALL OTHER PROFESSIONALS DO THAT. ARE DOCTORS BORN CRIMINAL UNTIL PROVED OTHERWISE! ATROCIOUS. MUST GO TO COURT. Many doctors taking hands on training in some procedures and attended a week long courses add them as university qualifications after their names with letter F. Such advertising habits has to be changed from the practitioners. Examples : MRCP Diabetology, DNB Diabetology, fellowship in pain management, cosmetology etc. No university gives such certificates. They only display university UG,PG Diplomas in the name boards.This is my suggestions. In an earlier comment I made a mistake when I wrote Hakim\’s/allopaths, it should be read as Hakim\’s/ayrvaids nd people from other pathies…..